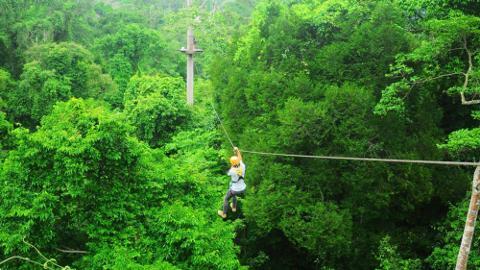 This Flight of the Gibbon treetop adventure is an ideal introduction to a thrilling zipline experience near Chonburi. 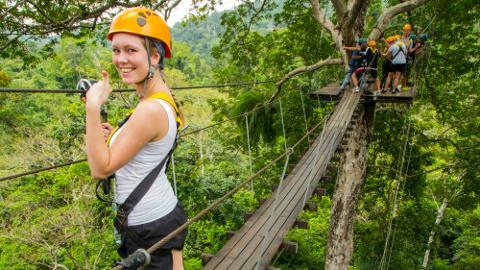 With the assistance of 2 guides per group of 9, you soar through a pristine rainforest on one of the longest and highest zipline courses in the world. Enjoy premium views from 24 platforms, plus scenic sky bridges and adrenaline-inducing rappelling. 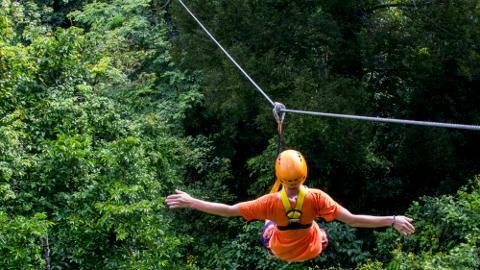 Experience the thrill of ziplining as you swing like Tarzan on this Flight of the Gibbon treetop adventure. 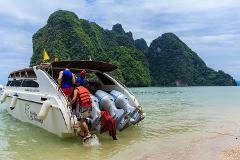 Board your air-conditioned van in central Bangkok and relax during the 1-hour drive to Khao Kheow, a rainforest bordered by the Khao Chompoo wildlife sanctuary near Chonburi. 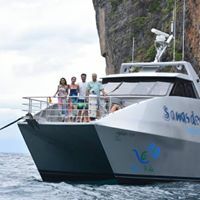 After a detailed safety briefing and equipment fitting by experienced guides who ensure your safety at all times, take off from the first of 24 platforms and soar along a heart-pounding course. 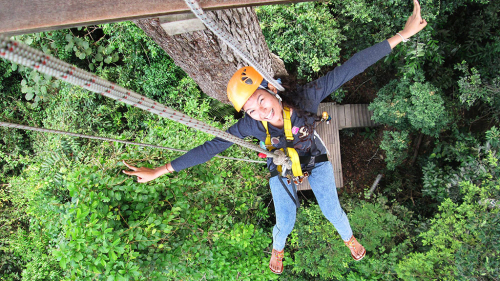 Considered one of the largest canopy ziplines in the world, the course includes 2 hanging sky bridges and 2 rappels down massive trees. 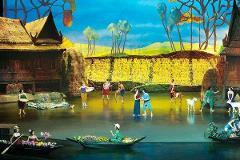 Back on firm ground, enjoy a delicious Thai lunch followed by a visit to Khao Kheow Open Zoo aboard a tram. 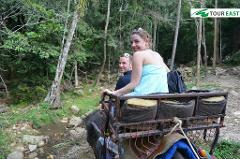 Stop at various tram stations to watch the animal shows, feed the wildlife and explore the exhibits. See exotic birds display their talents and be captivated by wild cats among the more than 300 animal species in the 2,000-acre (810-hectare) wildlife park. 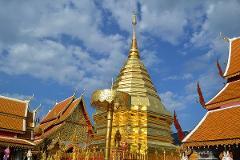 Complete your full-day tour with drop-off at the starting point in Bangkok. You must be at least 3 feet 3 inches (1 m) tall. You must weigh between 20 and 130 kg (45–286 pounds). and cancellation if minimum number of people is not met on the activity day. If you are pregnant or have back, neck, joint or muscular problems, you should carefully consider whether or not to participate. 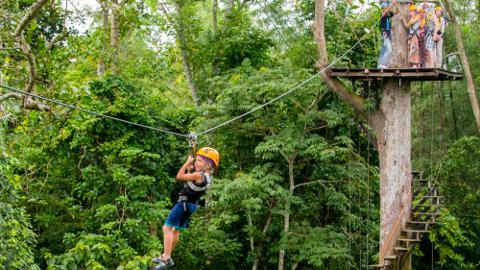 You do not need previous zip-lining experience.